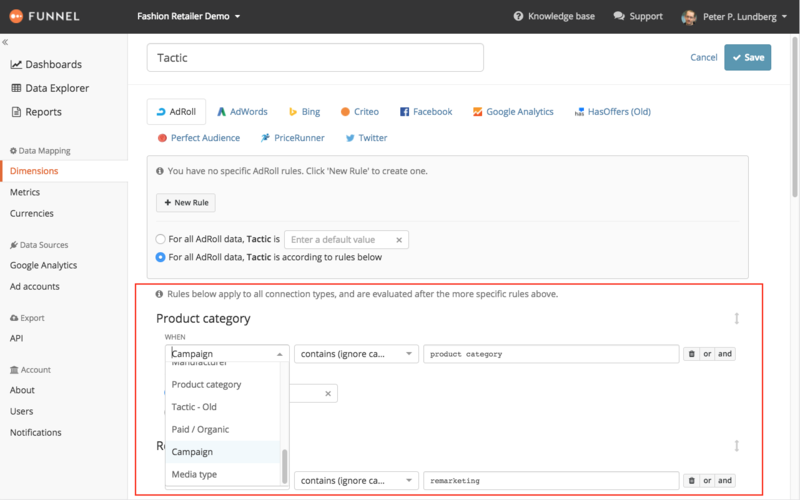 In Funnel you have several alternatives when it comes to creating dimension rules. A common thing is to base the dimension rules on the 'Ad Campaign name' imported from the ad platforms and the UTM-parameters GA Source, GA Medium and GA Campaign imported from Google Analytics. 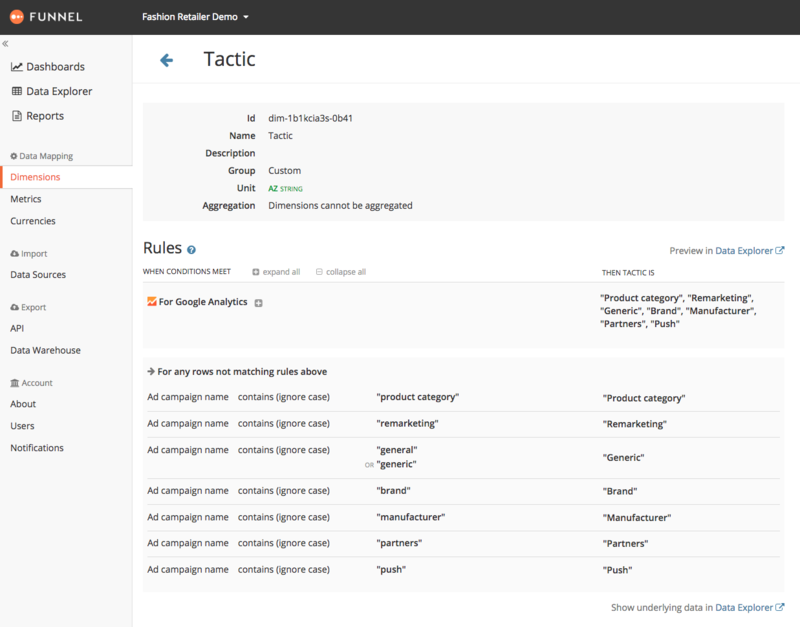 This will require two dimension rules per group in the dimension, one for the ad platform data and one for the GA data. However, you can also base your dimension rules on already existing custom dimensions, resulting in fewer dimension rules (and less work for you)! when extracting a common "Campaign" dimension from your data sources and then re-using this to extract information encoded in the Campaign name such as "Tactic"
But there are many other uses of this depending on how your data is structured. To set up a dimension like this you simply edit an existing dimension or create a new one. You can base your dimension rules on already existing custom dimensions by adding the rules as common rules, see picture below. Choose the appropriate one and enter rules as usual.